Serie A side Napoli have continued their excellent run in the new season, even as they face Benevento. The club has won all games in the league so far, netting 15 times and allowing just two. They scored six against Benevento over the weekend as they continue their stellar form. The win makes the ninth consecutive Serie A victory for the club – the first in the club’s entire history. The club’s record is quite impressive after a few games so far. They would rank very high if not the highest based on form of European clubs. Manchester City, Manchester United, PSG and Monaco have scoredmore league goals than Napoli but they have played more games this term so the team should be off running. Napoli actually has an impressive defensive record. Just two players in Atalanta’s Bryan Cristante and Verona’s GiampaoloPazzini have netted against them. The passing stats and its sheer accuracy of 92% (against Benevento) is another plus for the side. Napoli have been brilliant in deploying their use of full backs: FaouziGhoulam and ElseidHysaj. Chelsea target KalidouKoulibalyhas been solid in the middle, freeing the fullbacks to go on rampage. Jorginho has been decent, holding down the forte so skipper MarekHamsik, Allan and Piotr Zielinski can roam. 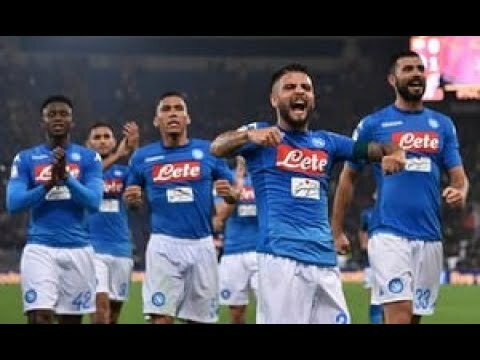 Upfront Jose Callejon, DriesMertens and Lorenzo Insigne have been on fire, making the whole team well set up for victory. They messed up when they played Shakhtar Donesk in their opening Champions League clash but that would make them keen on overturning their fortunes against a sterling Manchester City side. That would be a sure game to look forward to.